I support raising teacher pay, but the plan passed by the legislature does not have a dedicated revenue source and leaves our teachers without firm footing. The Governor and the majority party cobbled together dollars by raising taxes on two large school districts (Phoenix Union and Tucson Unified), taking funds from healthcare for the poor, and raising fees. The next half of the proposed raise is simply a wish as one cannot tie future legislative bodies to budgets past the current year. I do not support this plan due to the fact that it lacks a dedicated funding source and then relies on the very people who have driven our schools to the bottom in per pupil funding to now do right by our educators. We must first realize that an investment in our public schools is an investment in our economy. It is an investment in our communities. We currently give away close to $200 million to private schools. That needs to end for all but the profoundly disabled. Next, we pay cash for new school construction rather than relying on bonding. Eliminating these two expenditures will allow us to redirect nearly $300 million to our education system. We also have to take a look at each and every tax loophole currently in place. The goal should be to find a minimum of $500 million in additional revenues. Currently, these loopholes and credits cost the state billions of dollars in badly needed revenue. Too many businesses have gone over and around Arizona when looking to locate due to the poor job our prior legislators have done when it comes to our schools. Being $750 million dollars behind our 2008 level funding is legislative malpractice and one reason why it is "Time for a Teacher." All taxpayer dollars need legislative due diligence and proper oversight. Charter schools have had neither, and that must change. The Grand Canyon Institute found that roughly 75% of all charters have financial dealings that would be illegal inside our traditional public schools. We need to protect our tax dollars. Currently, charters get just over $1300 more dollars per pupil from our state budget than our regular public school students. That must change. Currently, charter schools can use public tax dollars to buy land and buildings that remain with the charter holder should/when they go out of business. That must change. Our government should not be in the business of picking winners and losers. As a recommended "Gun Sense Candidate" I am for reducing gun violence. I support a raising of the age, banning bump stocks and universal background checks. I do not believe that private parties should be selling guns. When some guy sells an AR out of the back of his Camaro to someone he met online, my family and yours are now needlessly put in danger. All gun sales need to be through a licensed dealer so that proper vetting can be assured to take place. Mass shootings in our schools should be a concern of everyone. Unfortunately, our legislators have defunded our schools so much that they now have to choose between paying teachers or repairing doors. They should not have to make these choices. I believe one way to help our schools would be to pay the money necessary so that every classroom door locks from the inside and every one of them has a peephole. Those two measures would help limit the amount of injury and deaths. We also must fund our schools appropriately so that we can have counselors on our campuses who can meet with students and help with their social and emotional health. We currently have counselor to student ratios that are the worst in the country and that restricts our professionals to mainly class scheduling. It is time for proper investment in our schools. It is "Time for a Teacher!" 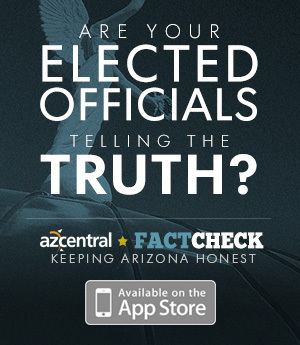 Our Arizona government has cut taxes 24 out of the last 25 years. In 1993 we were ranked near the middle of the pack nationally in education funding spending 88% of the national average. Today, due to all of that lost revenue, we are at the bottom of the barrel spending 68% of the national average. Trickle down is a myth and I am not looking to continue down that failed road. I will never say “never” but I am not at the point where I can see cutting any more revenues from our already lean state budget. I believe adults in our country should be free to make decisions for themselves that do not harm others. While I would not be lighting up if it became legal, I do not believe our government should infringe on individual liberties. I support recreational marijuana being legalized. We need to continue working with our neighboring states and finalize a Colorado River drought contingency plan. That then needs to be brought forward through bipartisan legislation. Arizona has done pretty well with water conservation over the years. We need to appropriately fund the Water Infrastructure Financing Authority and then continue to improve upon our water infrastructure. Discrimination in any form is a moral outrage that we should do everything within our powers to eliminate. People should be allowed to live their lives. Therefore, I would support a law to ban discrimination. Allowing business owners to discriminate against anyone is wrong. I would vote to eliminate any and all discrimination. We currently have a low-wage, call center economy in Arizona that needs to see an infusion of high paying, innovative jobs. When CEOs are asked about why they choose to locate their businesses in a certain place they always come back to the local education system. Once we as a state start planning for the future rather than today and put "we" ahead of "me", we can start to grow in the ways that will benefit all. Investing in our public schools is an investment in our economy. We need to do a top down review of all corporate tax cuts and their economic impact. Those that are not working need to be removed. ESA's are welfare for the wealthy. I support ESAs for the most profound special needs kids but otherwise these vouchers need to go.They need to be eliminated and the nearly $200 million needs to be reinvested in the public schools that serve the vast majority of our children. Anyone who has been awake will surely have read all about these boondoggles. Enrollment in private schools has remained flat through the expansion of these vouchers. Tuition at the private and religious schools using vouchers has outpaced inflation considerably therefore pricing poor families out. There is zero accountability for our tax dollars being used in this voucher scheme and these schools are free to discriminate in their admissions. Anyone who wants to attend a private school is free to do so but it shouldn't be on the public's dime. I am a strong opponent of vouchers. NO on 305! I am a strong, vocal, outspoken no on expansion of vouchers. The proper vote is NO on 305 which means NO to expanding vouchers. The border and immigration are both federal issues. A major issue is the infiltration of dirty money in politics. The Supreme Court has ruled that money is speech, which is fine, but it should not be anonymous speech. The citizens of AZ deserve to know who is trying to buy their vote, and I would propose legislation similar to what was passed in Tempe by 91% of the voters. Another issue is the 301 funding that was extended last legislative session. The citizens should be rightfully worried about this slice of education funding no longer under the voter protection act. The majority party already defied the courts by not honoring the voters when they didn't fund the measure during the recession so there is absolutely no reason to trust them not to raid this funding source in the future. I will be a person you can trust to keep that funding sacred. The greatest threat to Arizona is to continue underfunding our public education system. We have a quarter of our kids growing up in poverty and the majority party will say that they just need to pull themselves up by their bootstraps. That may be true but that same party is taking away their boots (education). No boots; no bootstraps. It's time for new representation. It's time to fund education. It's time for a teacher! It is legislative malpractice for the majority party to not even bring this up for a vote. When federal money is available, at zero cost to the state, one really has to question the motives of the majority party. If this was for wealthy people to subsidize their private education, it would have passed in record time. The state should pay all families the same amount if they are fostering. This isn't about the adults but about the kids and those children need the people at the Capitol to speak up for them.